Bier. Schnitzel. The Alps. This year I quenched my desire to re-visit some of my favorite European staples when I took my family of five on a summer vacation to Austria. We had a great time, but the price tag came to $6,000. Ouch! Fortunately, one need not go all the way to Europe to have a wonderful European experience. 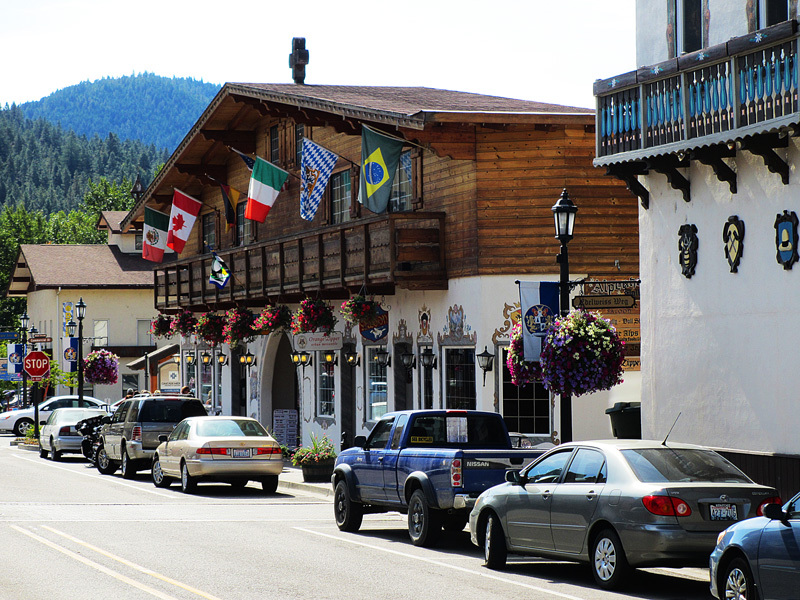 Tucked into the central Cascades, a beautiful two-hour drive from Seattle, is our own little Bavarian-themed town of Leavenworth. As a kid, Leavenworth was the launching point for some of my favorite hikes up Icicle Creek. As an adult, I enjoy walking down Front Street and seeing all the shops featuring local artists’ work and stopping for some of my favorite food. My first trip to Austria was 12 years ago when I had the opportunity to move there for work and I have been there often. This year, we visited family in Vienna and then took off to spend a few days in the Salzkammergut and the spa town of Bad Ischl. The Salzkammergut, just across the border from Bavaria, shares the great bier, tender schnitzel and magnificent Alpine views that are at the core of some of my favorite memories. One week after our foray into the Salzkammergut, we were back home in Seattle and on our way to Leavenworth to spend a weekend for a wedding. 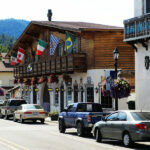 I have been to Leavenworth often and enjoy something new each time. I enjoy the food, the people and, most importantly, the quiet, relaxing time away from ordinary life. 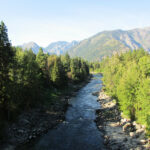 Whether you are looking for a great hike or just a weekend away, Leavenworth rarely disappoints. What an incredible experience to drive through the Alps one week and the Cascades the next. Awesome topography, great food and even better beer mark both places. For both trips, we took a lot of pictures. Think you can tell the difference? 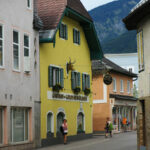 Answers: Photo 1: Edelweiss Way in Leavenworth; photo 2: Styrian Alps, Austria; photo 3: Golden Ox Hotel, Bad Ischl, Austria; photo 4: The corner of Front Street and 9th in Leavenworth; photo 5: Wenatchee River and the Cascades; photo 6: Main Street in Bad Ischl, Austria.